New Hit Vocal Competition Series Next Airs Tuesday, May 3 (9-11 p.m. ET) Followed by Broadcasts on Tuesdays (10-11 p.m. ET) on May 10, May 17 and May 24 After “The Biggest Loser” (Tuesdays, 8-10 p.m. ET). 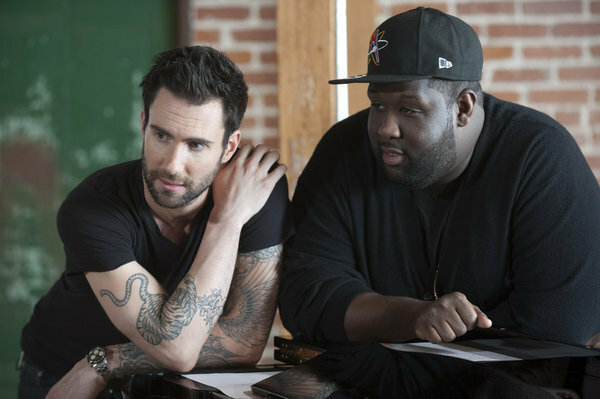 UNIVERSAL CITY, Calif. – April 29, 2011 – NBC revealed that it will add more star-power to its new vocal competition series “The Voice” with singers Reba, Monica, Sia (Furler) and music producer Adam Blackstone joining the series as new advisers who will lend their experience and talents to musician coaches Christina Aguilera, Cee Lo Green, Adam Levine and Blake Shelton for the next “Battles” competition phase. “The Voice” next airs Tuesday, May 3 (9-11 p.m. ET) and then will be broadcast from 10-11 p.m. (ET) each Tuesday night on May 10, May 17 and May 24 following new episodes of “The Biggest Loser” (Tuesdays, 8-10 p.m. ET). Aguilera (@therealxtina) will team up with singer/songwriter Sia (@Siamusic), Levine (@adamlevine) with Maroon 5 Music Director Blackstone (@bassicblack), Green (@CeeLoGreen) with singer Monica (@MonicaMyLife), and Shelton (@blakeshelton) with veteran singer Reba (@Reba) — eventually cutting their teams in half by pitting two of their own artists against each other in a series of dueling duets.